Imagine this, my skin is red with yellow flecks and my body has ballooned into a giant strawberry shape. Yes, this little Strawberry has been as greedy as Violet in Willy Wonka. Hold on a second while Keith rolls me off to the juicing room. Whew! Ok, I’m feeling a lot better now. Some fun facts. Did you know that an average strawberry has about 200 seeds? It is also not considered a true berry since its seeds are on the outside. However, it is a true fruit and it is the only fruit that bears its seeds on the outside. In parts of the Bavarian countryside, every springtime, farmers tie small baskets of wild strawberries to the horns of their cattle as an offering to elves. They believe that the elves, are passionately fond of strawberries, will help to produce healthy calves and an abundance of milk in return. (It makes me wish I were an elf.) I wish the season lasted a bit longer (only about 3 weeks here in SW Wisconsin). 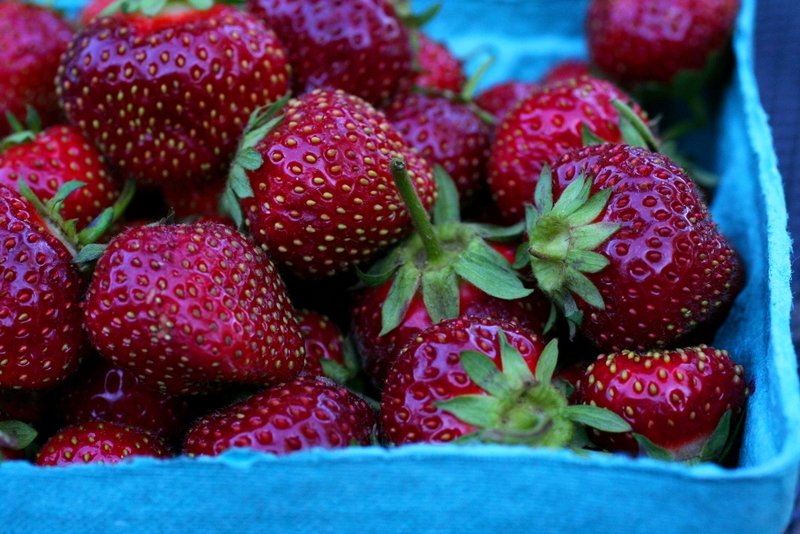 There is one lucky town in Belgium called Wépion where strawberries can be harvested from springtime until about September. It is the strawberry capital of the world. They even have a strawberry museum, a place I’d love to visit someday. This spring, I puchased a total of 12 quarts of strawberries from Bures Berry Patch and Peck’s Farm Market. I froze a couple of quarts, ate some fresh, made crumbles, enjoyed them with ice cream, made preserves, and dropped some in sparkling water. 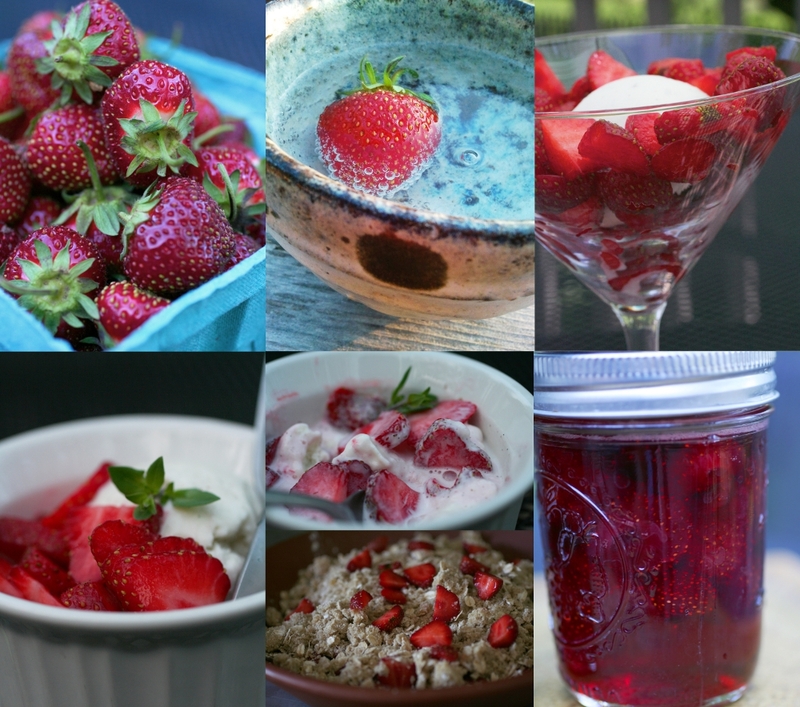 Nothing beats strawberries in season which is now sadly over. Did you get to have some this season? I hope so. Goodbye springtime, see you next year.